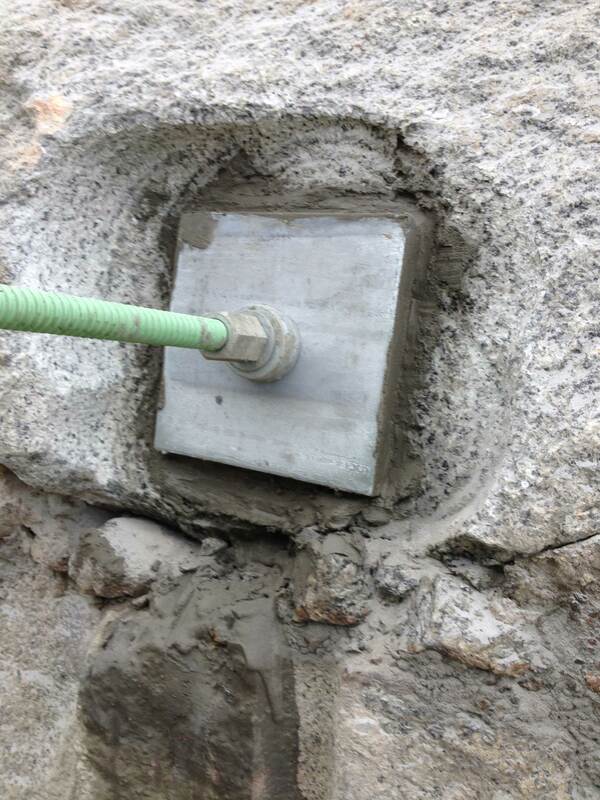 To drill-blast and reinforce the final ledge faces to allow the construction of a new recycling center on Route 1. 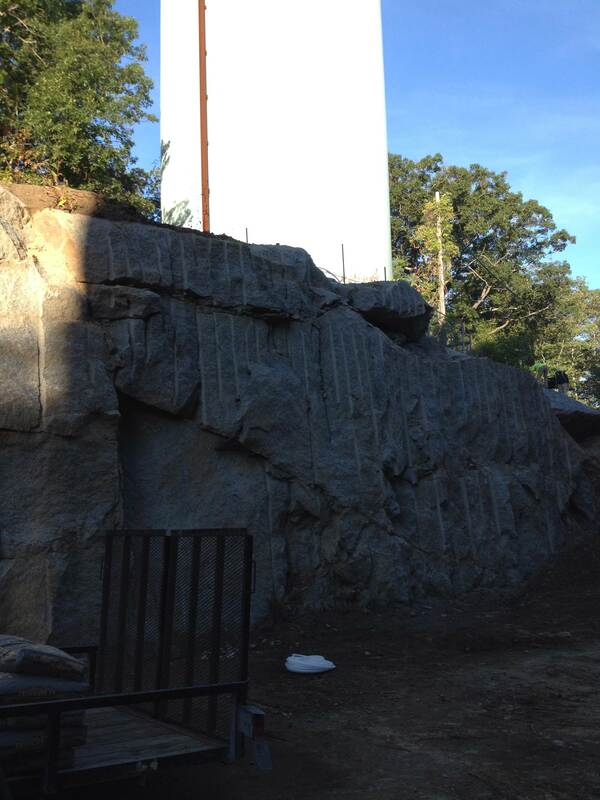 Regulatory burdens in urban North Shore of Massachusetts coupled with rock cuts of 25 foot within 150 feet of busy Route 1 and 40 feet off a water tower create a complex project to get started in a timely fashion and complete without a hitch. Phasing the excavation to allow geotechnical review and subsequent rock doweling before completion of the excavation takes a good plan with good communications. With good communication between the blasting crew and site contractor, potential risks were identified and a plan was put into place to mitigate the risk. By using a combination of methods including line drilling, controlled blasting, rock dowels, the team was able to successfully complete the project on time and without incident. 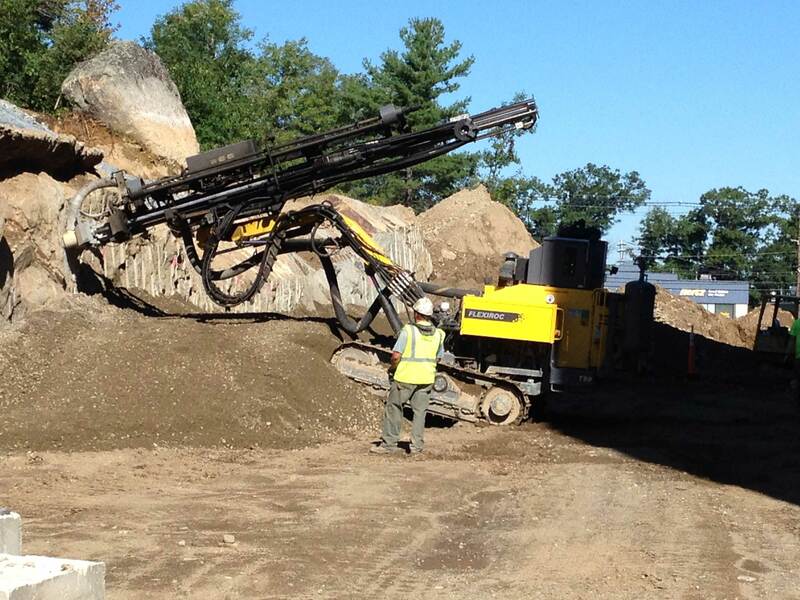 I recently had Maine Drilling and Blasting on my job site at the Army National Guard Center in Portsmouth, New Hampshire. I have worked with many other drilling and blasting outfits in the past and found Maine Drilling and Blasting to be head and shoulders above the rest. Jeremy Hopkins and his crew conducted all of their drilling and blasting operations in a very professional manner both with us as their client and also our client, the Army National Guard. Jeremy and his crew showed up on time and prepared everyday as expected. Jeremy and his crew met and exceeded all expectations of the scope of work required by the contract. 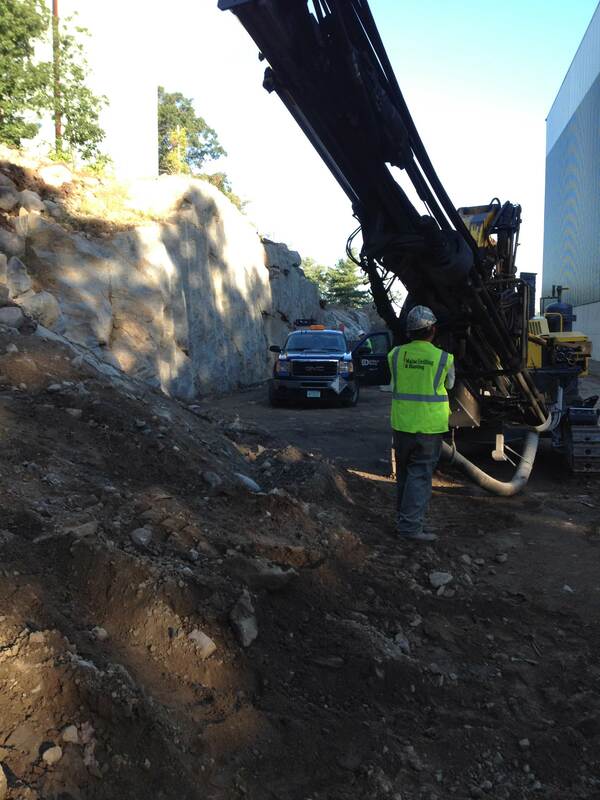 I would not hesitate having this crew, or any other crew from Maine Drilling & Blasting, working for me again."